I mentioned a few days ago that I was starting to get a little overwhelmed with the money side of adoption. While I do know that the money will come together one way or another when I look at some of the totals I can’t help but feel a little stressed. We (obviously) want to get our paperwork done as quickly as possible, but that also means we will need a huge chunk of money also as quickly as possible. Today I thought I would share some adoption numbers with you since I know it is a side of adoption that nearly everyone is curious about. While I will be sharing some of these number please keep in mind that every country and agency will be different so these are not numbers for every international adoption. Another thing to remember is that we have already done most of our paperwork from our time with our last agency so we actually have less expenses than if we were starting from square one. Money needed in the next month: approximately $16,500 – this includes some different agency fees, the cost of getting our fingerprints done, renewing all three of our passports and updating our homestudy. Thankfully we were continuing to save money for the last few months even when we didn’t have an adoption agency and we have 2/3 of the money needed for this stage. Another bonus is that the agency fees are split in two so this morning we were able to send in half of the fees to them and the other half of the fees are due when we send in our updated dossier (hopefully in about a month). At this point we need about another $5,000 before this stage is covered. Money needed when we receive and accept a referral: approximately $12,500 – this covers more agency fees, foster care fees, etc. I have great hopes that we won’t need to wait too long for a referral but the downside of hopefully having a quick referral is the fact that we would need this lump sum, of which we currently have none. Money needed for travel: approximately $12,000 – this includes flights, lodging, food, etc. These numbers are really hard to nail down without actually booking stuff but this estimate is the best I can do for now. Once again, we have none of this yet. I just added this all up and I hope Jared’s not reading this lest he have the same heart attack I just did, but that makes the total amount that we still need as: $29,500. Wow, that makes me even more thankful for the money we were able to save and once again a little overwhelmed by how much farther we need to go. Over the weekend we were brainstorming some ways to raise the money and I can’t say I know of any fundraisers to raise $30,000 at once but Jared said, we need to focus on making $100 at a time, not $10,000, so that’s where our focus has been. So how does that look in real life? Well, for starters, we are not spending any money unless absolutely possible. Groceries are budgeted and I’m trying to get competitive with myself and spend less each month on our food. It’s a little harder to buy cheap groceries when you have one person on a strict gluten-free diet (cause man, that food is expensive!) but it is definitely still possible. If anyone has any good money saving techniques I’d love to hear them! We have also been trying to sell different things, mostly locally but I do have an online shop as well. So far I’ve had very good success selling bracelets and wall decals locally, it’s not bringing in tens of thousands of dollars but it has been able to bring in a few hundred and that’s a good start. We’ve got a few other fundraiser ideas and I was thinking of offering some family photo sessions if anyone is interested again. Hopefully I won’t annoy everyone on social media, but if I do, I think it will be worth it if it means we get our little one home! Raeca knows we are saving money and selling stuff “to bring home a brother or a sister” and you can hear it in her pretend play throughout the day and sometimes her prayers before meals and at bedtime. This morning she went with me to the mail as we sent off some more paperwork and a large cheque. I snapped a photo so we could document this step -one step closer. finally some GOOD adoption news! wow those numbers look crazy! Will keep praying for you guys! God always does provide and sometimes in the most surprising ways!!! So glad you got your stuff Jen. I can’t wait to see some photos of Jonah in that hat! Hate those numbers! Hate that it’s so hard to raise the money. Will be praying that you will be blessed with all the right ideas, support and encouragement. I would love to have some pre-adoption pictures done for my hubby and I – like maternity pictures, but adoption pictures if that makes sense, and would love if you could do them and we could support you that way. I totally get what you are talking about Lauren, I would love to do some photos like that for you! Do you ever come out to the Saskatoon area? Hi there! 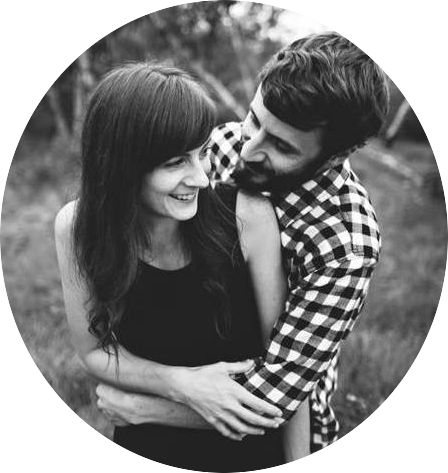 I’m new to your blog- i found it through Katie at hope engaged! I just wanted to recommend my mother in laws gluten free blog to you! My husband is gluten intolerant- so our kitchen is free of all gluten! I’ve been learning new recipes & tricks – thought this might help! Also, if you have a trader joes grocery store near by they have great deals on GF pasta! Hope this helps! Thanks Marie, I’ll definitely check her blog out!! Don’t forget about grants! 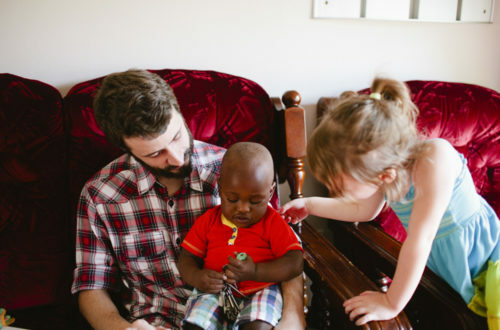 God brought in $7000 via grants in ONE month for our adoption!! And then we had a huge yard sale (with help from church family & friends) that brought in another $2550 that same month. Can God do it? He showed Himself mighty strong in our adoption fundraising this summer…. $10,000 from May 13 to June 13. Usually our unbelief is standing in the way (talking about ME, not you 🙂 ) So excited for your family, though. Where did you get a grant through Abby? I have so far found that our choices are more limited now. Before we were Canadians using an American agency but now that we are using a Canadian agency there seems to be less options for grants and fundraising. And $10,000 is AMAZING! You could be right about your options being more limited. When we started our process about 4 years ago, we were in New Brunswick, and felt VERY limited with our options too! So, I get what you’re saying. One of our grants was through Show Hope. Hope your etsy shop does amazing. That has been another huge help for us! Hang in there.